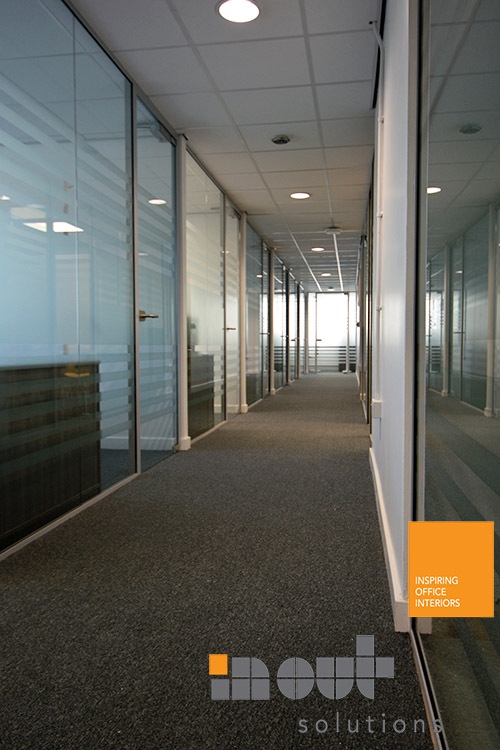 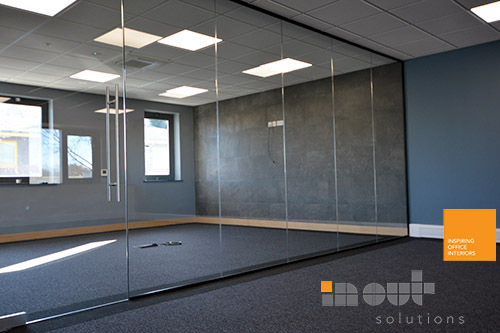 We are specialists in glass office partitions, an independent company with a professional work ethic and outstanding client care. Call us to discuss your plans on 01943 513648 or send a message via the Contact Form and our friendly experienced team will respond promptly. The effectiveness of glass partitions in reducing telephone noise / office chatter levels is proven by the fact that standard-issue single glazed glass can have a sound privacy of 36dB and those made of double glazed glass are even more effective given their sound privacy of 42dB. 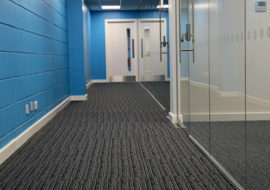 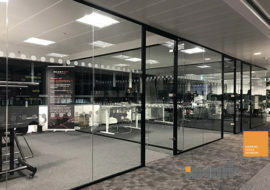 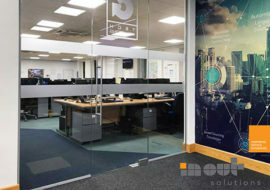 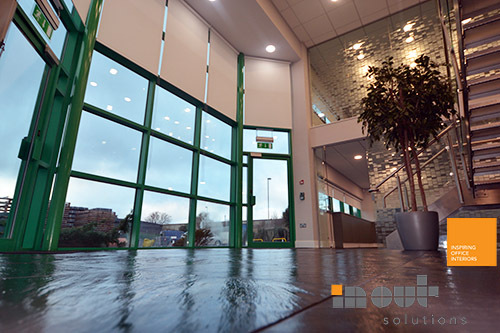 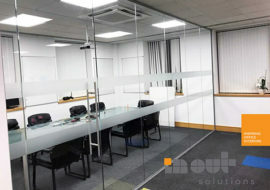 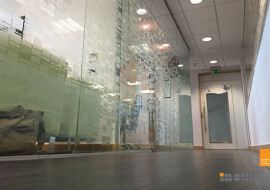 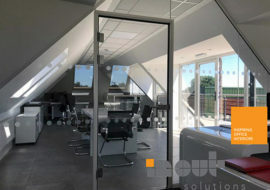 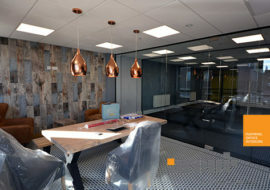 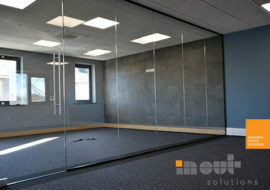 Also, although the cost of electricity is continually rising, because framed and frameless glass partitions maximise the use of natural light, the costs of electricity are reduced to a minimal level, so in a busy office with frequently opening and closing of entrance doors, this is a clean environmental and cost consideration. 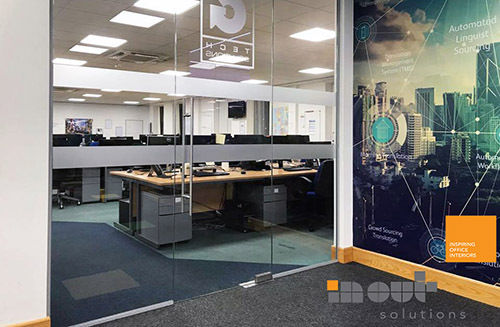 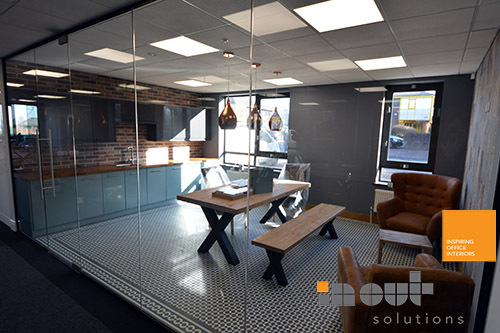 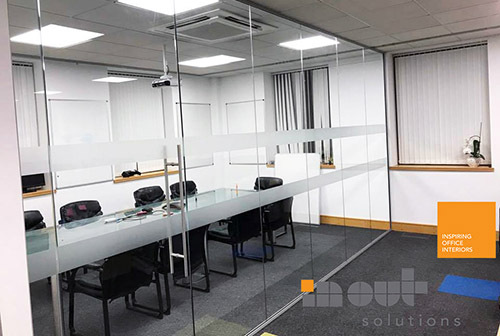 In Out Solutions also install glass dividers systems which include ‘frameless’ glass partitions and those styles in which the mere flick of a switch has the potential to alter the transparency of the partitions. 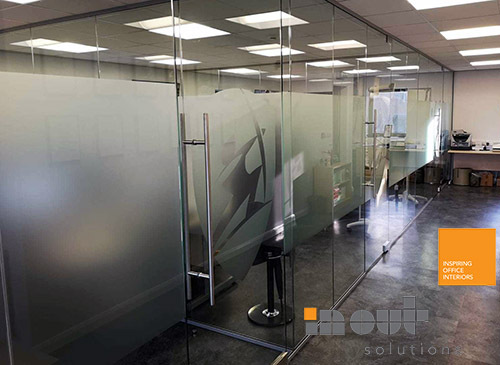 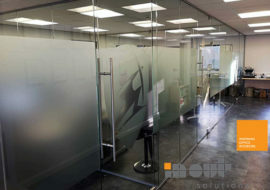 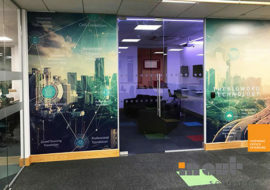 Another cool feature of these glass partitions is that office doors fitted with these changing partitions, additionally we can also supply and install doors made from other more solid materials. 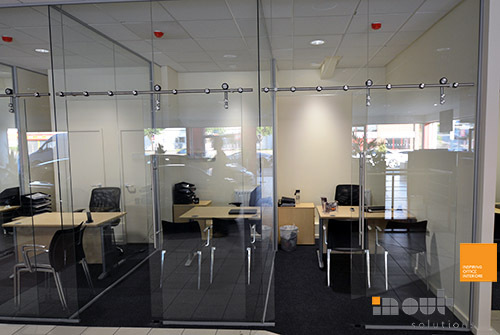 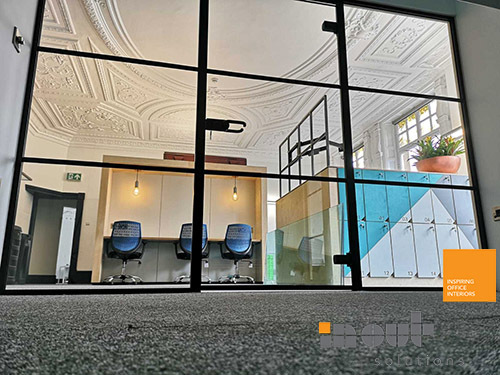 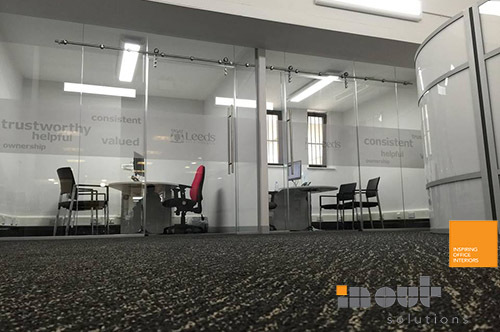 As standard, office frameless glass partitioning are usually manufactured of units of single glazed glass which are held in place with head and floor details – including joints filled with silicon mastic. 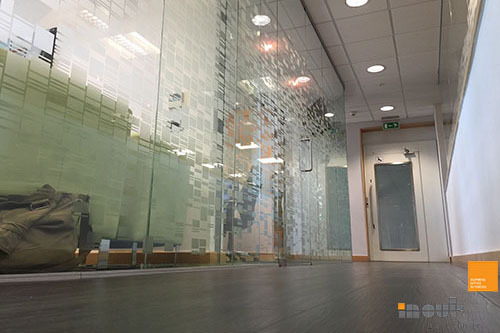 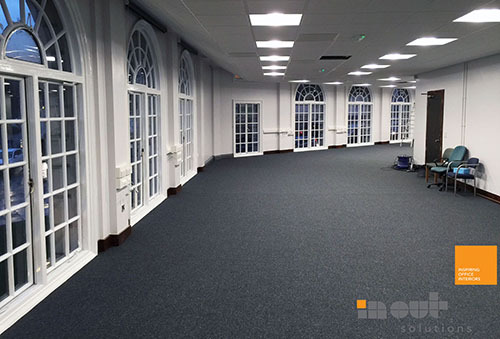 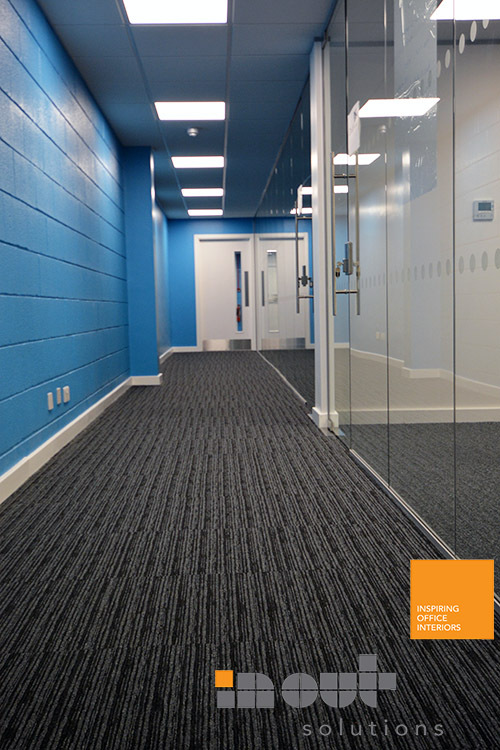 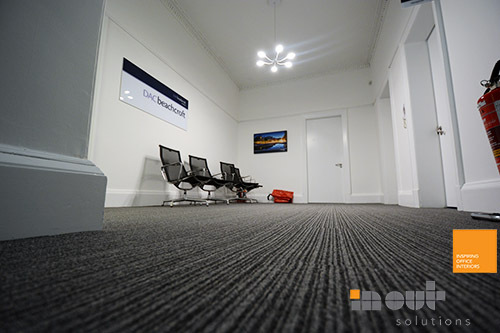 Mastic stays flexible after curing and is ideal for office projects requiring the joined materials (surfaces) to have limited movement (glass partitions, building joints etc). 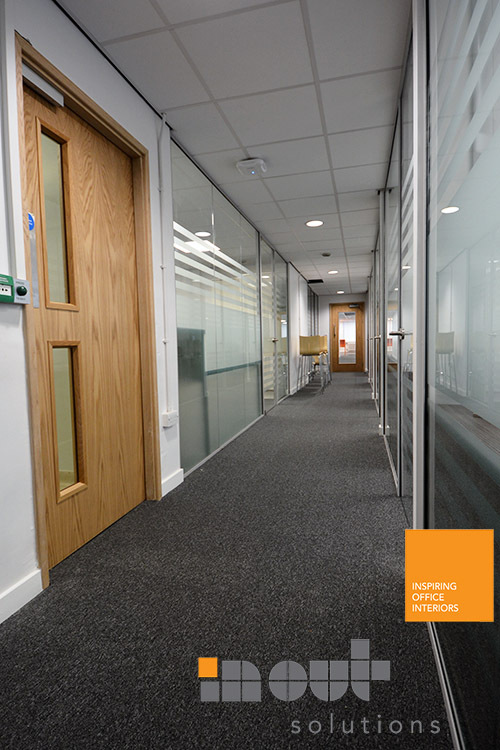 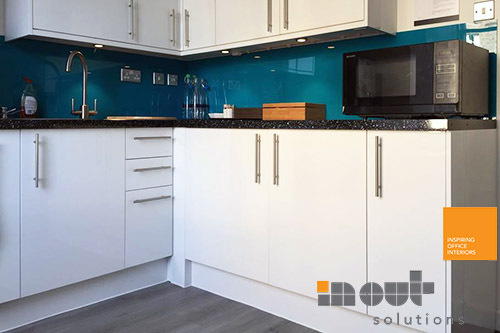 If there is enough space, doors can be fitted on sliding rails, however, if there is only limited space, the doors can instead be fitted onto patch hinges, floor rails and framed and frameless systems (depending on whether the customers would prefer framed or frameless partitions). 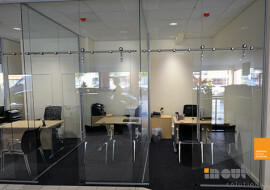 Automated doors can also be installed according to the wishes if individual customers. 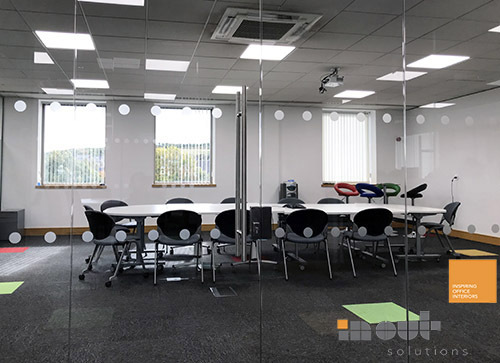 There are several advantages to using room dividers as a means of dividing an office space into several separate cubicles, the biggest advantage that the use of such partitions can create a light and airy atmosphere, complimenting the aesthetic of modern and open office spaces. 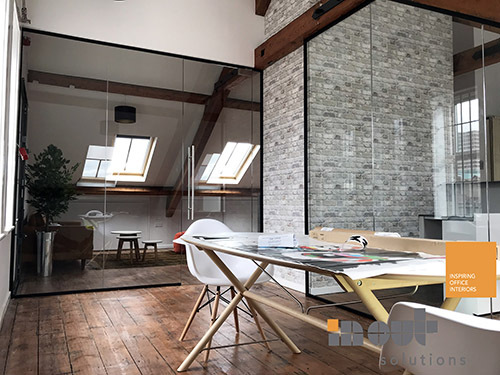 Frameless glass partitions can also be easily relocated highlighting another key advantage because virtually no (or at most minimal) structural modifications are required therefore installation costs are lower. 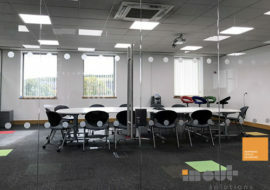 What would you like to learn? 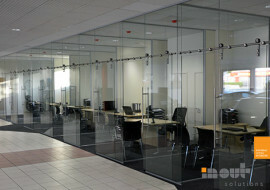 Read About Us, visit our Project Gallery and surf our Blog Posts. 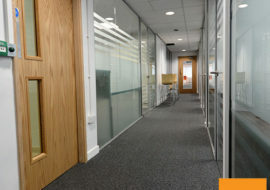 Are you social? 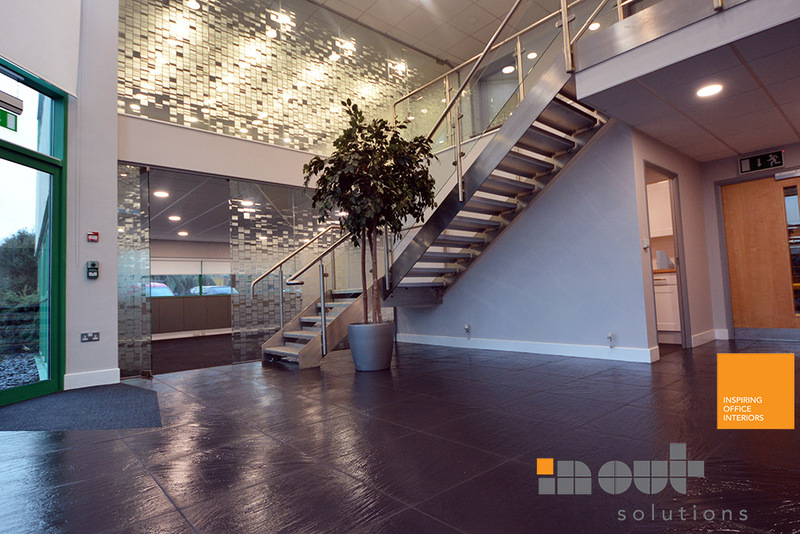 Follow us on LinkedIn, Twitter and Facebook.